US equity indexes closed very significantly lower, sp -59pts at 2762. The two leaders - Trans/R2K, both settled lower by around -2.1%. 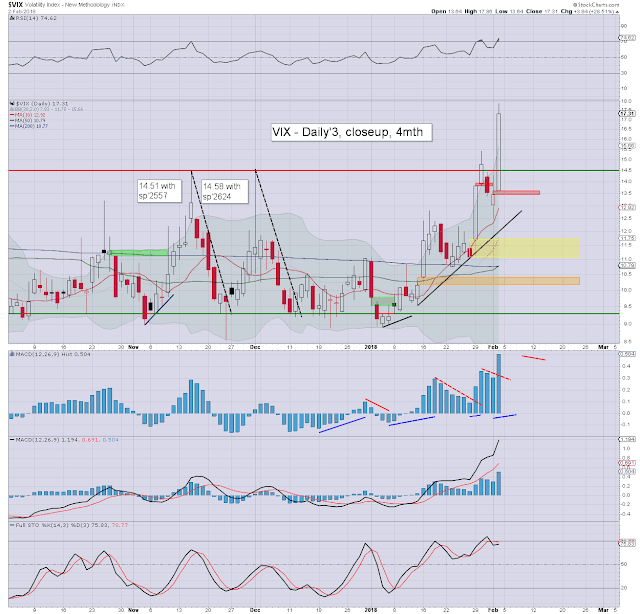 VIX settled +28.5% at 17.31. 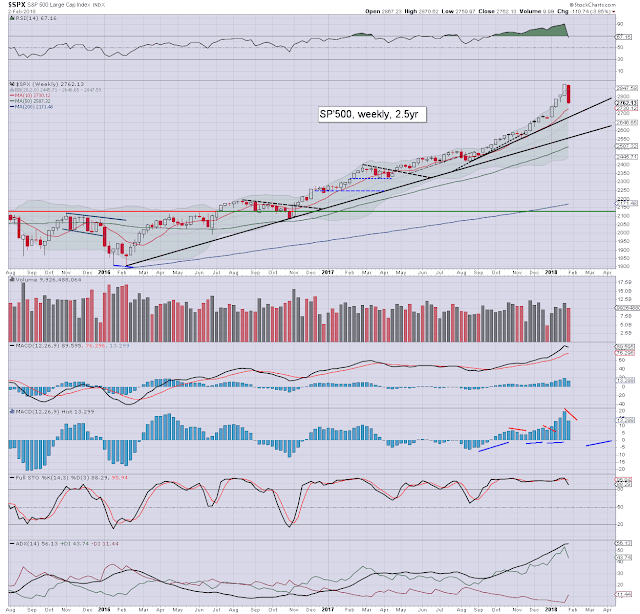 Near term outlook threatens another 2% lower to around the 2700 threshold, before a massive whipsaw upward. 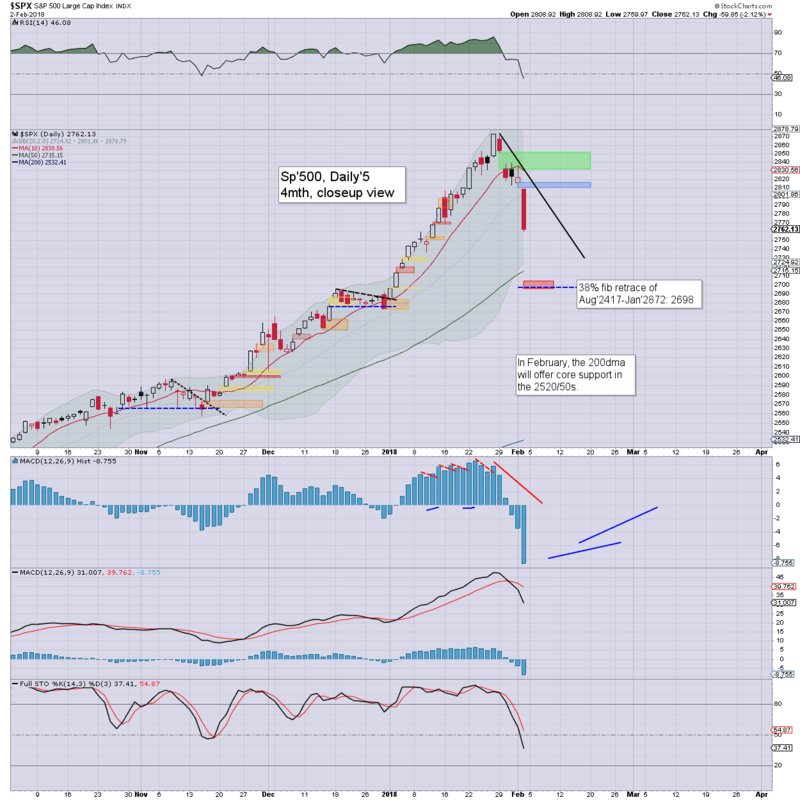 Big target of 2950/3047 remains on the menu for late March/April. US equities opened broadly weak, and steadily cooled to sp'2759 in the closing hour, back to levels last seen Jan'11th. 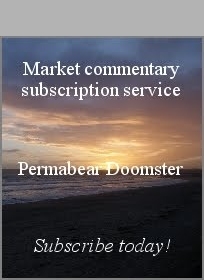 With equities unravelling, volatility soared. 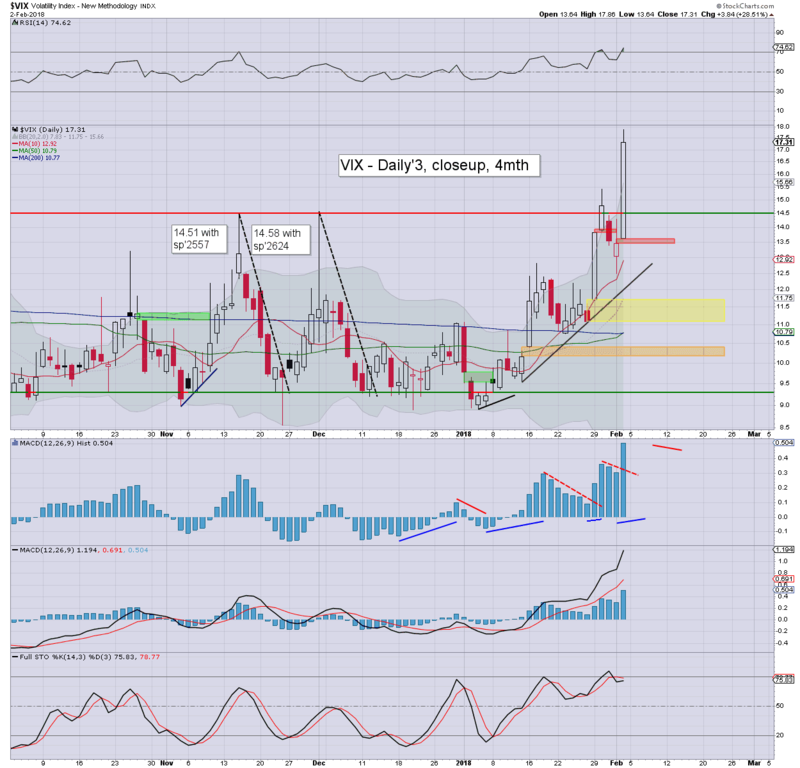 The VIX saw an intra high of 17.86, which notably broke above last years high. The key 20 threshold is (surprisingly) viable next week, which would be seen if we see further cooling to around sp'2700. The sp' saw a net weekly decline of -110pts (3.8%) to 2762. 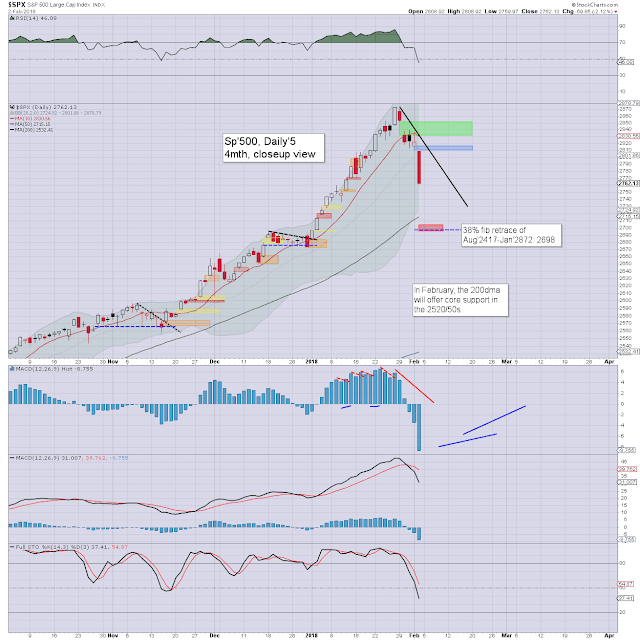 Underlying price momentum is weakening, but a bearish MACD cross is still at least another full week away. First rising support will be around 2700 next week, which would make for a natural floor, before resuming upward to 2950/3047 zone by late spring.